Peace, Love, & Books! It’s Spring BOOK FAIR time! Did you know that the Book Fair raises money for our school’s Media Center program? It helps fund all of our contests and events, as well as provides us with books for giveaways. Book Fair proceeds also help us buy new furniture and student supplies. Check out this website to shop online or preview some titles that we’ll be carrying. Or, you can SHOP ONLINE NOW & have your books delivered to your homeroom! 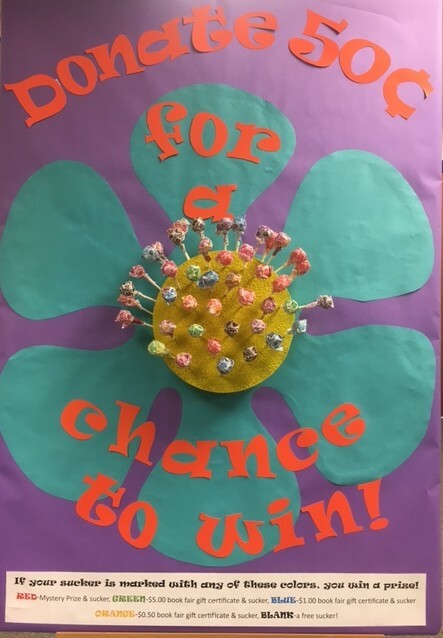 Donate $0.50 for a Chance to Pick our Flower & WIN! If your sucker is marked with any of these colors, you win a prize! Once again, we’ll be offering Book Fair shoppers a chance to win some amazing prize packs. For ever $5 spent at the Book Fair, shoppers will receive a ticket for a drawing. We have 5 Prize Packs up for grabs! 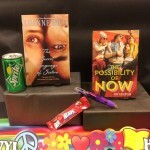 Prize Pack #1-Girl Power contains The Possibility of Now, Secret Language of Sisters, soda, candy, & a pen. 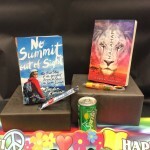 Prize Pack #2-Adventure Awaits contains No Summit out of Sight, Kalahari, soda, candy, & a pen. 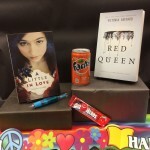 Prize Pack #3-Love & War contains A Little in Love, Red Queen, soda, candy, & a pen. 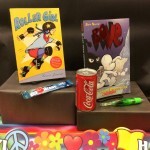 Prize Pack #4-Graphic Novels contains Bone #1 Out from Boneville, Roller Girl , soda, candy, & a pen. 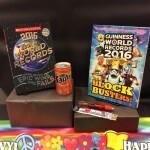 Prize Pack #5-Record Setters contains Guinness World Records 2016: Blockbusters, Scholastic World Records 2016, soda, candy, & a pen. Big City Book Fair is Here! Aloha! It’s a Book Fair! Use the link above to access the McClure Middle School Destiny Library Catalog. At home, you will need your student ID number & password (O365 password) in order to gain access to these resources. Use the link above to access the bevy of online resources available to you as a McClure Middle School student. You will need your user ID & password (O365 credentials) in order to gain access to these resources. 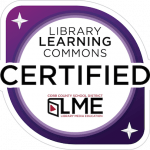 Use the link above to access amazing online resources available to you as a CCSD student. You will need the user ID (Student ID#) and password (Birthday mmdd) in order to gain access to these resources. Use the link above to cite those amazing sources you used in your projects! C has read 1 book toward their goal of 36 books. While I loved that the book was multicultural, I just had a hard time with the instant band. My disbelief just couldn't be willingly suspended for that. I enjoyed this, but I like his other books better. I still feel like the Magnus Chase books are trying too hard. I prefer the Trials of Apollo because they almost make fun of Riordan's formula of writing. Graphic novel about the complexities of friendship. Great book about judging yourself and others. Harpin’s Biblio-Techa © 2019. All Rights Reserved.